The words Raksha Bandhan consists of two distinct words. Raksha means ‘protection’ and Bandhan means ‘to tie’. This signifies the special bond between a brother and a sister in the family. This is a priceless bond is much beyond words. This relationship is definitely an extraordinary one which is given a lot of importance in any part of the world. In India, this relationship is celebrated every year during the festival called Raksha Bandhan. This celebration is dedicated for the love between siblings only. This festival is of Hindu origin and celebrated widely in India and also neighboring countries like Nepal to signify the lovely bond between a brother and his sister. This occasion is observed on the full moon day as per the Hindu lunar-solar calendar which falls in the month of Shravan. In the Gregorian calendar, this festival falls during the month of August. This event where the knot of protection is tied is not only for brothers and sisters who are related by blood. This festival is also celebrated among cousins, sister-in-law, aunt and even nephew. Sometimes it is also observed within friends as a special bond where they treat one another as brother and sister. This festival is widely celebrated among the Hindus especially in the north and west part of the country along with Nepal, Mauritius and Pakistan. Raksha Bandhan is also observed by the Jain community. Here the priests offer ceremonial threads to devotees. Sikhs call this festival in the name of Rakhardi or Rakhari. In accordance with the ancient legendary story Bhavishya Purana, there was once a brutal battle between the Gods and Demons. The principal God of the sky, thunderstorms and rains was called Lord Indra. Lord Indra was on God’s side and was having a tough time fighting the powerful king of the demons called Bali. This war did not come to a proper conclusion even after a long time. Sachi, Lord Indra’s wife approached Lord Vishnu and he gave her a holy bracelet made of cotton thread. Lord Indra finally won the battle. Those days such amulets were tied between husband and wife unlike nowadays it is tied between brother and sister. According to Bhagavata Purana and as per Vishnu Purana, after winning three battles against the king of demons, Bali. Lord Bali asked Lord Vishnu to stay with him in his palace. Lord Vishnu accepted and stayed there. Goddess Lakshmi, Lord Vishnu’s wife wanted him to return back to Vaikuntha, their native place. She tied a rakhi around Bali’s wrist and called him her brother. When Bali asked what she wanted as a gift, she asked for her husband to be free. Bali agreed and set Lord Vishnu free and they returned to their native. There are more stories in addition to the above ones. Some are about Santoshi Maa, Krishna and Draupadi, Yama and Yamuna, etc. This festival is observed as a symbol of responsibilities and duties between brothers and sisters. This occasion can be celebrated between any man and woman who want a brother and sister relationship without having a biological relation too. On Raksha Bandhan sisters tie Rakhis around the wrist of their brothers praying for their welfare. 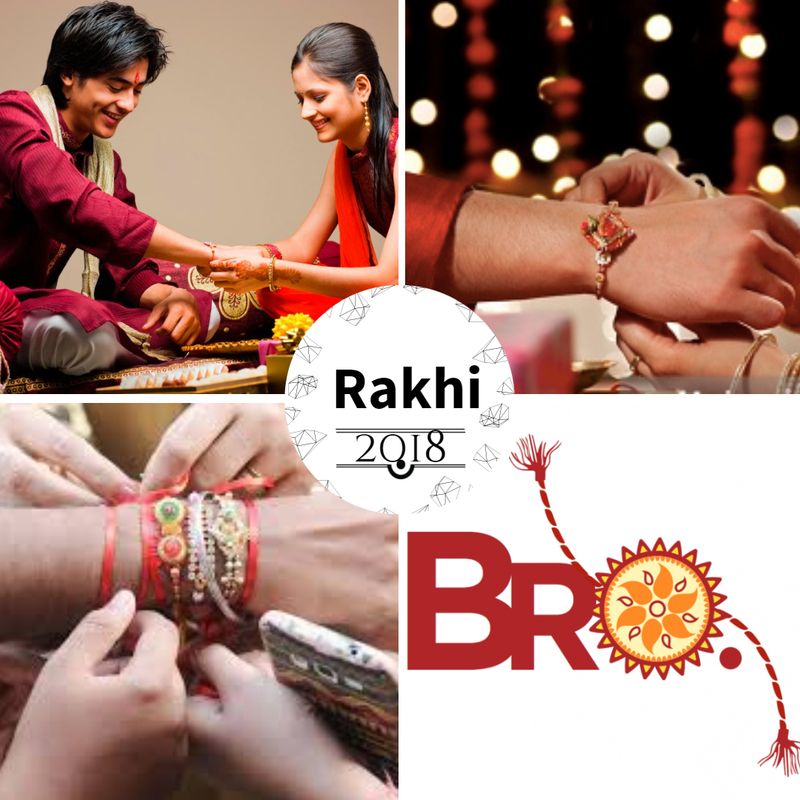 Brothers give Rakhi gifts and promise complete protection from evil and harm. Distant family members also celebrate this occasion with joy.